The roof of your property does a lot for you. From keeping out leaves and debris to moisture prevention. It is important to return the favour! Our North Vancouver roof cleaning and moss removal makes it easier by taking care of your property for you. Rustic country homes are a dime a dozen in the greater Vancouver area. These normally come with a ton of trees and plant life but not all of this green is good. The climate and surroundings of your property, can have large impact on its overall condition. Our Gorillas want to help keep your property in peak condition for as long as possible. Our North Vancouver roof cleaning and moss removal can do just that! What Is Your Roof Telling You? Your roof can’t talk, but it certainly has a lot to say. The condition of your roof can drastically impact other areas of your home or business, so it is important to listen! Discolouration across the surface of your roof can mean many things and our Gorillas can read them all! Moss and algae are the most common sources of staining and damage. Dark discolouration on your roof’s surface is indicative of algae. Having algae means retained moisture and slippery surfaces, normally asphalt shingles. Where there is moss and algae, there is room for growth which leads to property damage! 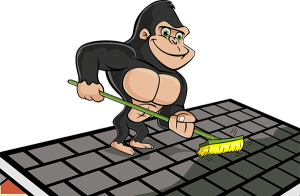 Why Choose Gorilla Property Services For Your North Vancouver Roof Cleaning? When it comes to taking care of your home or business, you want the best. Gorilla Property Services has been servicing the North Vancouver area for decades. All of our technicians are local to your area, so we know exactly what your property needs. All around the North Vancouver area, homes and businesses can be seen with thick layers of moss growing along roof lines. Now, this might give off a “cozy cottage” feeling, but it is bad news! Moss spreads across surfaces and under materials, pulling shingles away from roof decking and leading to large scale repairs. It is no secret that moss must be removed but getting the job done requires a particular set of skills. 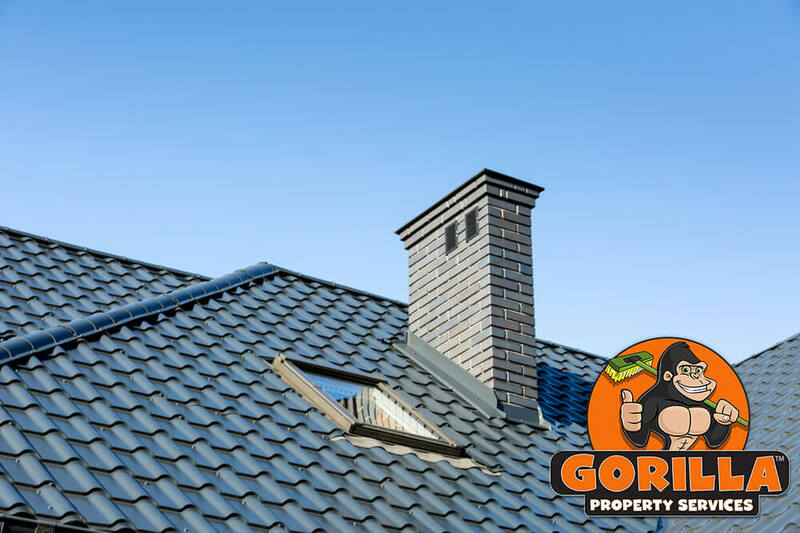 The wrong tools or techniques can still remove moss but can also damage roofing materials in the process, but you don’t need to worry with Gorilla Property Services. After decades in the field. Gorilla technicians know how to treat your moss removal at any stage and on any surface.